Dallas plastic surgeons will be available to answer questions about innovative cosmetic procedures including cosmetic surgery and non-surgical alternatives. Events like this grant us the chance to carefully explain and compare the various treatment options and their best applications. The Department of Plastic Surgery at UT Southwestern Medical Center will be hosting a special open house on October 17th, 2013, from 6:00 p.m. to 7:30 p.m., inviting guests to meet informally with board certified plastic surgeons and aestheticians to discuss the entire range of cosmetic treatments. Treatments that will be discussed include the full range of cosmetic options from non-invasive procedures such as injectable fillers, innovative medical devices, laser resurfacing, skin care, and cosmetic surgical options while addressing myths and misconceptions about cosmetic treatments. "The options for cosmetic treatments are evolving rapidly. While this certainly is a great benefit to our patients, detailed information about the advantages and disadvantages is not always easy to come by," explains Dr. Kenkel. "I really enjoy events like this because they grant us the chance to carefully explain and compare the various treatment options and their best applications." The open house is part of a series of events held several times a year by UT Southwestern's Department of Plastic Surgery. The event is open to anyone interested in meeting the plastic surgeons at UT Southwestern and would like to learn more about cosmetic procedures. Each attendee will receive a gift card for a complimentary consultation, and will be entered into a drawing for door prizes. Anyone who would like to attend event should RSVP by calling (214) 645-3774 or emailing confirm(at)utsouthestern(dot)edu. There is no cost to attend but space is limited. Jeffrey M. Kenkel, M.D., F.A.C.S., is a plastic surgeon located in Dallas, Texas. In addition to Program Director, he serves as Professor and Vice-Chairman of the Department of Plastic Surgery at UT Southwestern Medical Center. He is also Director of the Clinical Center for Cosmetic Laser Treatment and Medical Director for the Department of Plastic Surgery. His clinical practice is located at the Outpatient Building on the UT Southwestern campus. Dr. Kenkel has served as president of The American Society for Aesthetic Plastic Surgery and is certified by the American Board of Plastic Surgery. Dr. Kenkel specializes in cosmetic surgery of the face, breast and body. He balances his surgical practice with nonsurgical cosmetic medicine including the use of injectables, lasers, and skin care. 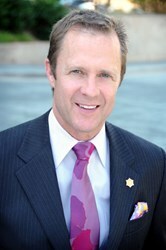 Dr. Kenkel is nationally and internationally known for his contributions in cosmetic surgery.